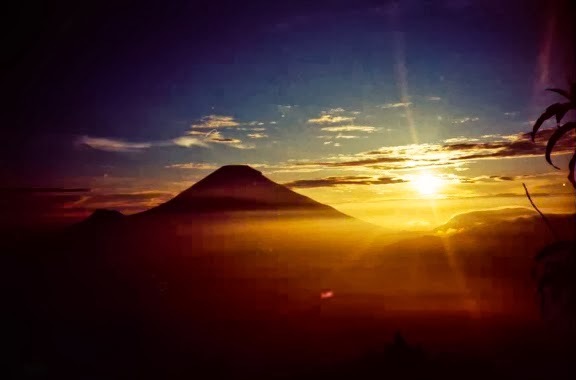 At Dieng Plateau we can chase the sunrise, but if only the sky is clear. It’s not easy to chase because rain or mist normally down there. Only persons with the big luck could chase the sunrise. 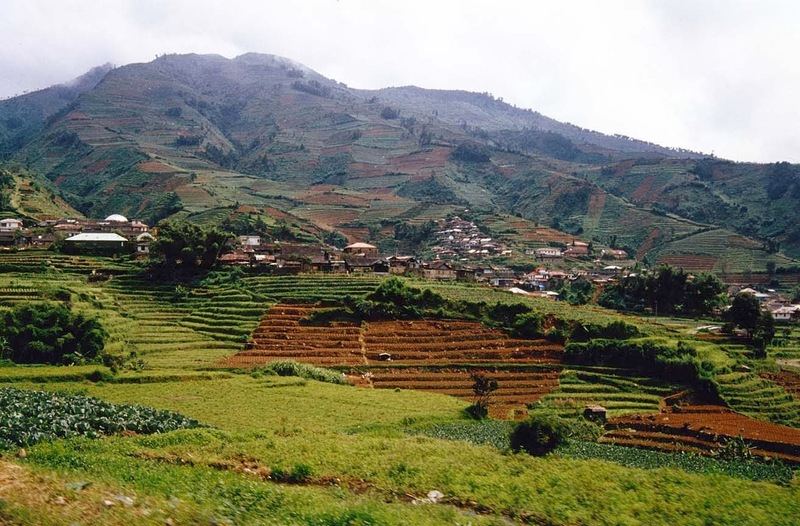 This is the extraordinary natural and cultural wealth of Dieng Plateau. 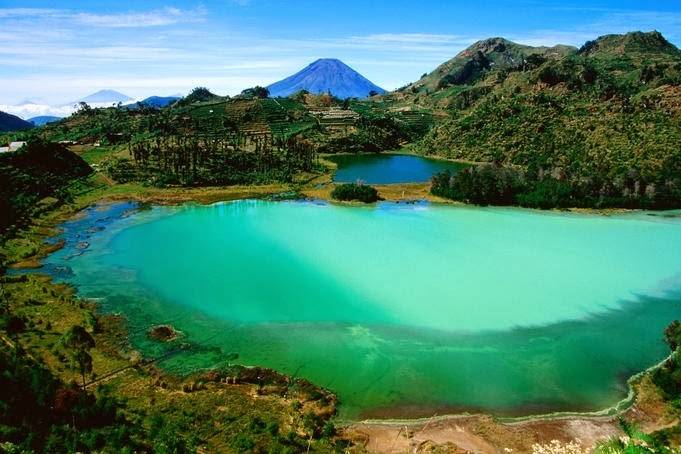 You will see the beautiful Telaga Warna (the Lake of Color), with natural forest around the lake. Sikidang Crater is a large pool of water mixed with gray mud which keep bubbling all the time. The bubbling mud always jump and change locations on the pond, that is why the crater named Sikidang which mean deer in bahasa. Sikidang only one from eight craters which formed in Dieng Plateau after Prahu giant volcano erupted thousand years ago. 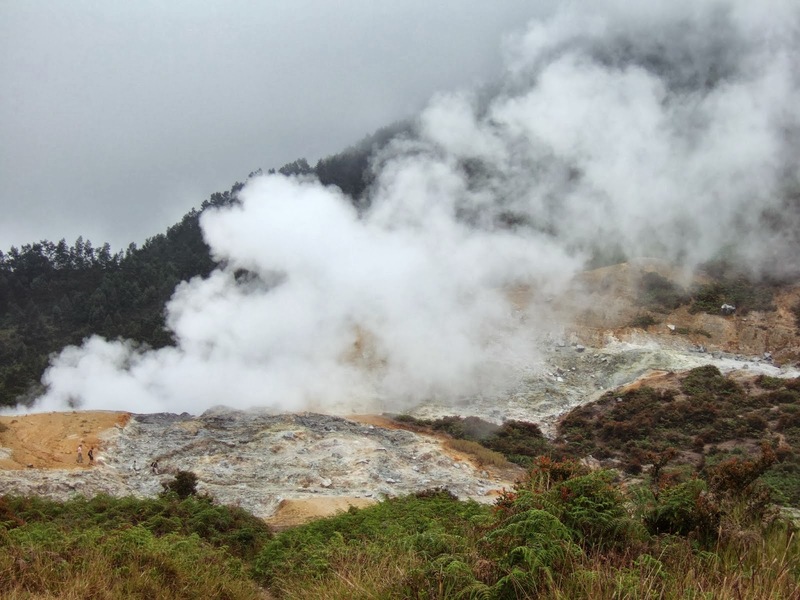 Hot steam from the crater transformed into geothermal energy that supply electricity for Java. 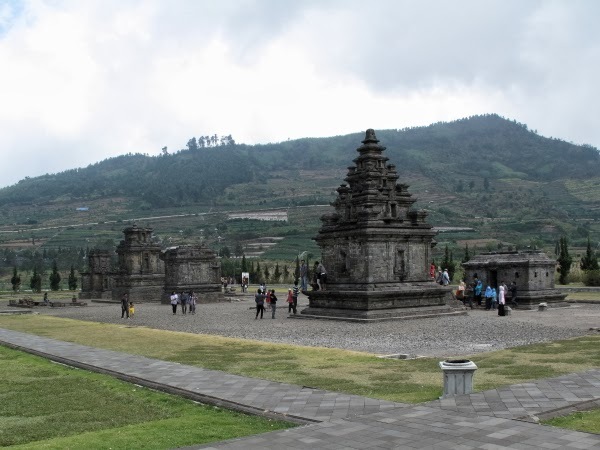 Arjuna Temple temples is one of the group of 7th century Hindu temple compound located in Dieng Plateau,Indonesia. The plateau is home of eight small Hindu temples that are among the oldest surviving religious structure ever built in Java. The real name of the temple, the history and the king responsible for the construction of these temples were unknown. This is because the scarcity of data and inscription connected to the construction of these temples. Local Javanese population named each temples according to Javanese wayang characters, mostly taken from Mahabharata epic. The livelihood of Dieng People is as farmers, potatoes is planted by most of Dieng people, Dieng’s potatoes is famous and its suit for the french fries, because this potatoes having lower sugar content than other common potatoes. Beside of that the farmers plant carrots, cabbage and another vegetables. But, the most popular in Dieng Plateau is Carica, a local fruit that similar to papaya but smaller in shape and size. Usually they sell carica in bottle or cups that fill to with some kind of simple syrup.